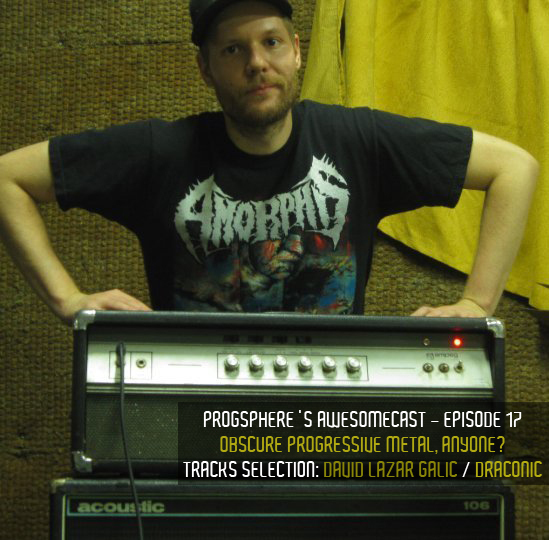 The theme of this episode of ProgSphere’s AwesomeCast is obscure progressive metal of 1990′s and 2000′s. It was brought to you by David Lazar Galić, bass player of Serbian modern metal outfit Draconic. After the notoriety gained by bands like Queensryche, Dream Theater, and to a lesser extent, Fates Warning, in the early 1990s, a new wave of metal bands emulating these sounds sprung forth to create an excellent underground metal scene in the later part of the decade. As with every scene, dozens of mediocre copycats of the “big three” surfaced, but again, as with every scene, a bunch of really cool bands crafting an original style of progressive metal cropped up as well. As a big fan of the “big three” I became enamored with this scene as a teenager, and thanks to the Internet, I was able to find tons of bands from around the world that were playing this progressive metal style that I liked so much. Thanks to message boards and tape trading with a very dedicated and tight-knit community of fans, I was able to uncover a lot of bands that were playing exactly the kind of metal I wanted to hear most at the time. This is a compilation I put together of some of these “obscure” bands that I liked the most during that period of my life, and also songs and artists that I think have aged best and that I can still listen to today and enjoy. If you were into this stuff too, hopefully this compilation will be a nice trip down memory lane, and if you weren’t aware of this scene back then, hopefully you’ll discover some bands that tickle your fancy today. Enjoy!